Tai chi chuan, often referred to as ‘moving meditation’ is rooted in Taoism, a Chinese school of philosophy that explores the duality of Ying & Yang as two opposing parts that come together to create harmony. As well as building physical strength, tai chi focuses on improving the body’s ‘chi’ (flow of energy through the body). This is achieved by relaxing the mind and breathing deeply and naturally while continuously moving from one fluid pose to the next on bent knees in a squat-like position. There are various styles of modern tai chi all of which originate from one of five traditional schools. All of these in turn trace their historical origins to the Chen Village in China, the birthplace of this martial art and where Shaolin Culture’s Shifu Yang received his training. 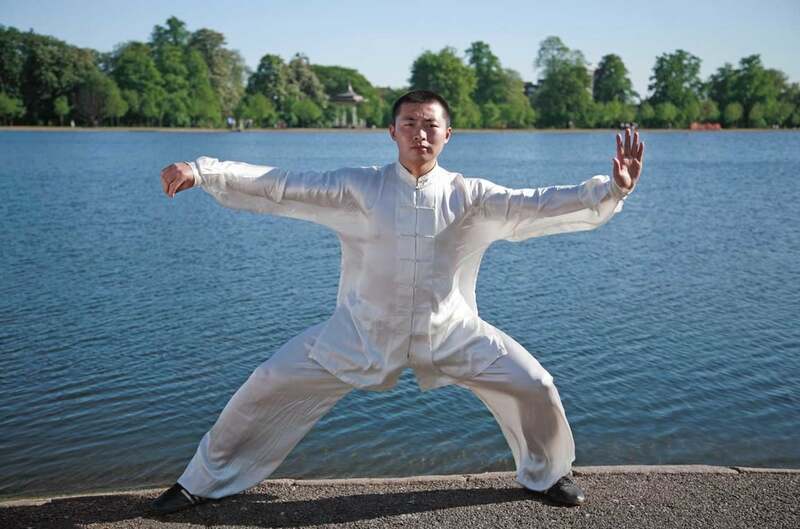 Now, with over 20 years’ experience both practising and teaching authentic tai chi, Shifu Yang is counted among the UK’s foremost teachers in the art. Proven to burn calories more effectively than jogging, tai chi is great way to lose weight while working out the entire body (especially the muscles around the knees and ankles) without the negative effects that running and other high impact sports can have on joints and ligaments. Traditionally used in Chinese medicine and now recognised for its benefits by the NHS and modern medicine in general, tai chi’s slow and graceful movements will encourage the flow of ‘chi’ in your body, increase your energy levels, reduce stress and in turn heighten your feelings of well-being. For our Tai Chi Classes Timetable, please check out our Tai Chi Classes Page.